While each type of saw is useful in numerous ways, it’s hard to stop collecting the ones you might need for a specific project. 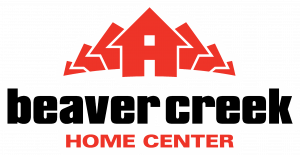 Here at Beaver Creek Home Center, we think scroll saws are one of the most fun members of the saw family. No, they’re not going to build you a garage or a new deck. But they’re very handy for making decorative projects around the house and even creating unique gifts for friends and family. Geographical art: Looking for a meaningful gift for someone who’s moved away? Scroll out the shape of their home province, including a little heart over their home town. Or if they’ve moved somewhere new within the province, scroll a heart over their old home and their new home. You could also do this with a silhouette of a whole country or even make a cluster of several different provinces or countries. A favourite phrase: You can buy wooden letters and pre-cut words at any craft store, but you won’t find anything much more original than “Love,” “Family,” or “Hope.” Design a phrase for your wall — making sure the words are all attached together at various points — print it out, and trace it on a piece of wood. If you have trouble seeing faint pencil lines, you can use a glue-stick to attach the whole paper directly to the wood and scroll straight through it. A jigsaw puzzle: They might have been named jigsaw puzzles, but it’s actually much easier to make one on with a scroll saw thanks to the tiny, easy-to-navigate blade. Search online for a free puzzle template (there are thousands) or draw your own. The little ones in your life will love putting it together again and again. Sweet silhouettes: Take a picture of each family member’s profile, print them on plain paper, cut them out, and trace them onto a piece of wood. Scroll carefully around the tricky parts — like wisps of hair and eyelashes — in order to preserve the details that make up their true likeness. Then hang the wood so your wall colour shows through or glue the silhouettes onto a darker board to highlight the contrast. Customized coasters: Whether you’re into Star Trek, comic books, Harry Potter, vampire love stories, or vintage video games, you can make a set of “geek chic” coasters that show your guests what you love to read or watch. We love these Mario mushroom coasters with felt bottoms and could imagine a whole set with Goombas, Koopas, and even Yoshi.